Live at the center of it all, location cannot be matched. This large, upper floor 2 bed and den corner unit is extremely bright with an open concept and views! Great for entertaining, the kitchen boasts sleek Miele appliances, soft close cabinetry, and stunning stone countertops. Beautiful spa-inspired bathrooms with floating vanities and high-end finishing. In addition to the generous storage locker downstairs, there is plenty of in suite storage as well. 2 parking stalls with this home, and they're side by side! 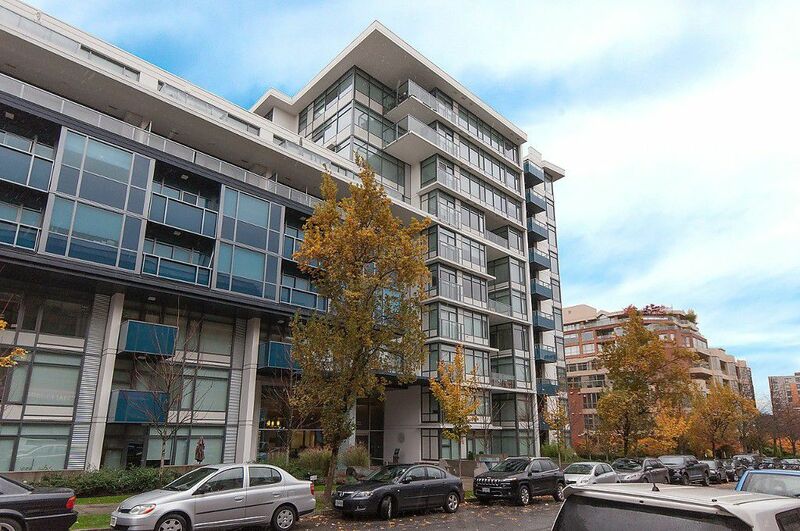 Despite its WalkScore of 99, with the amenities at Kits 360 you need not even venture out! Amenities include rooftop terrace complete with garden, lounge, and kitchen area; concierge service, meeting room, media room, fitness facilities and bike storage. Short trip to downtown and very close to transit, restaurants, groceries, and much more.